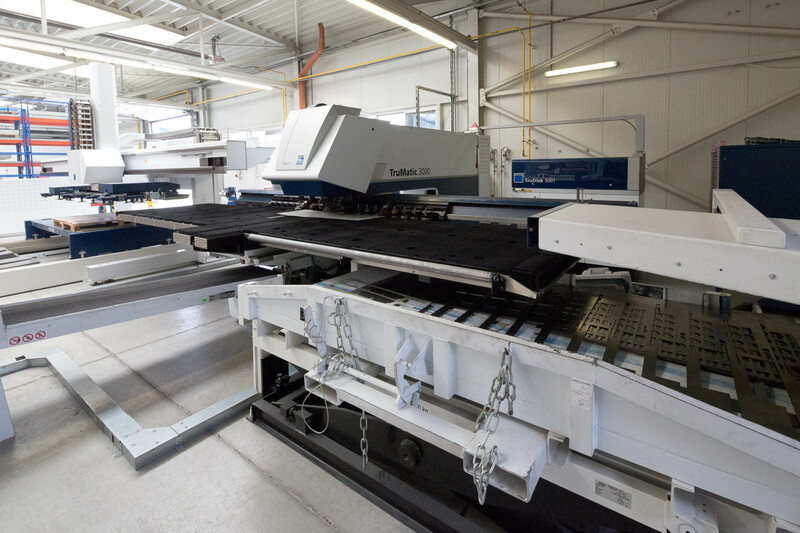 For smaller and mid-size runs and the production of prototypes, OMS uses a TruMatic 3000 Fiber combined punching, laser cutting and laser welding machine in partnership with two TruBend machines. All processes involve highly flexible, simple and rapid tooling and programming, allowing our skilled operators to create even the most sophisticated parts with ease and at high speed. Furthermore, the superiority of cut edges, weld finishes and bends means that produced parts are of the highest quality, contributing to the overall excellence of final products. Other production features, such as automatic loading and effective use if the integrated laser technology, mean that production times are further reduced and manpower minimised, bringing operational and cost savings that are reflected in our offers to customers.